We love digital interactive design. Hello! 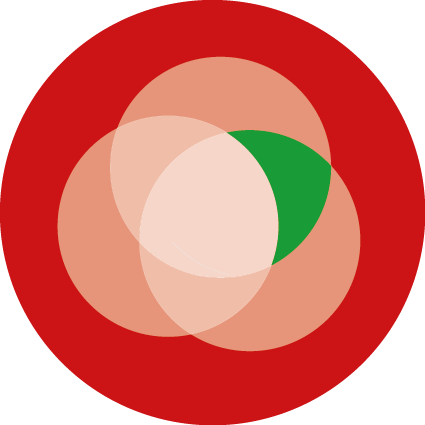 We are Communication and Multimedia Design (CMD) in Amsterdam. 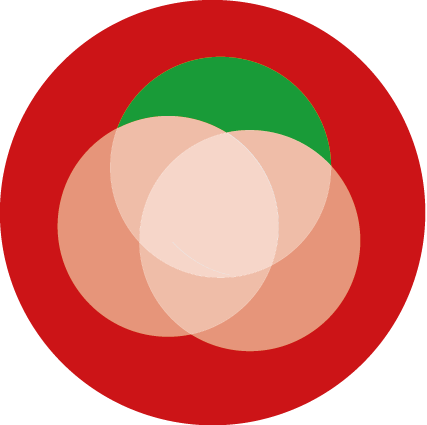 We are part of the Faculty of Digital Media and Creative Industries (Amsterdam University of Applied Sciences). We are a human-centred and context-sensitive bachelor-level design education in the field of interactive digital products and services. Our aim is to help our students both design and realize digital interactive solutions to real-world problems, optimized to the needs of users and other stakeholders. We focus on interaction design, visual design and technique (particularly front-end development). However, these activities occur in a context that shapes what is possible, acceptable and optimal. Like experienced designers, our students strengthen and expand their learning via real-world project work. Design projects are complex and we manage this through a project spaces model that breaks design work in different areas. The focus during our CMD bachelor is on the 'concept space' and the 'design and build space'. 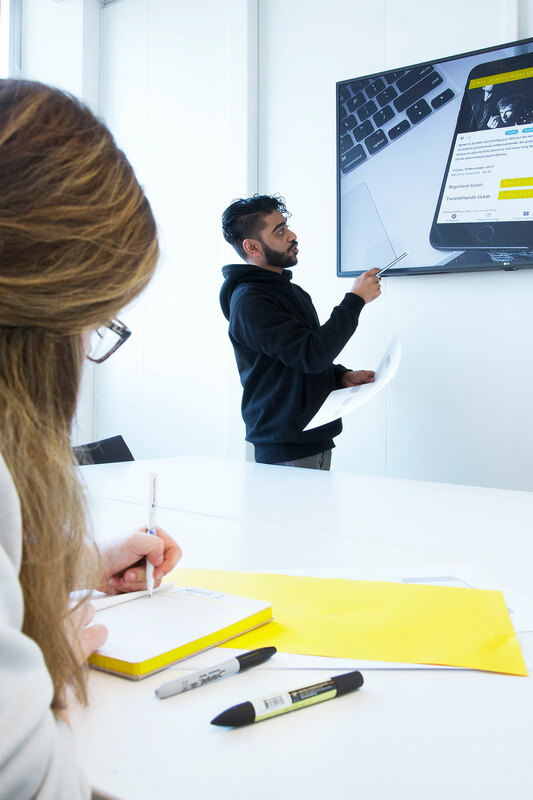 For example, students in our degree programme have converted a thick paper-based guide for international students in the Netherlands into a practical, much more manageable digital version, while others redesigned an existing online shop to improve the customer experience and boost sales. CMD students have also developed an app for musicians that enables them to directly record their inspiration for new tracks. And they also designed a digital app for the Psychiatry department at the Academic Medical Centre in Amsterdam. Through these kinds of initiatives, we hope we can make the digital world around us – and the world at large – a little bit better and more beautiful. The language of instruction during the four-year CMD curriculum is Dutch. For international students, we offer three English taught modules. 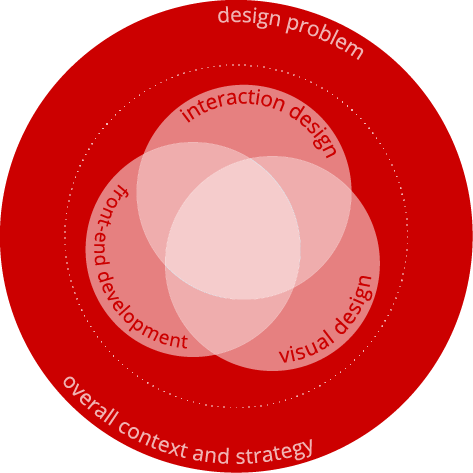 They focus on User Experience Design, Design Thinking and Doing and Making as Design Research. A new website and webshop for gift shop Daskas, encapsulating the shop's warm and charming vibe. 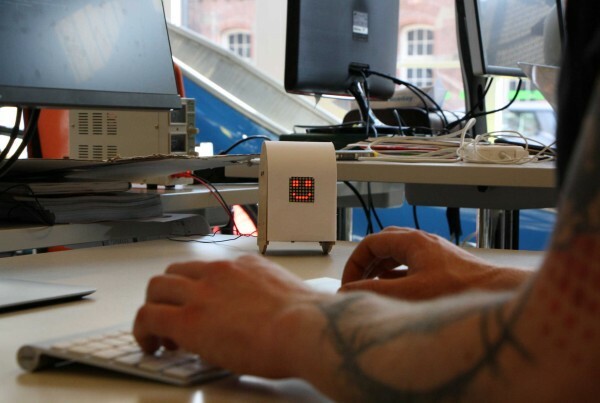 Robots that will bring a smile to your face at work. 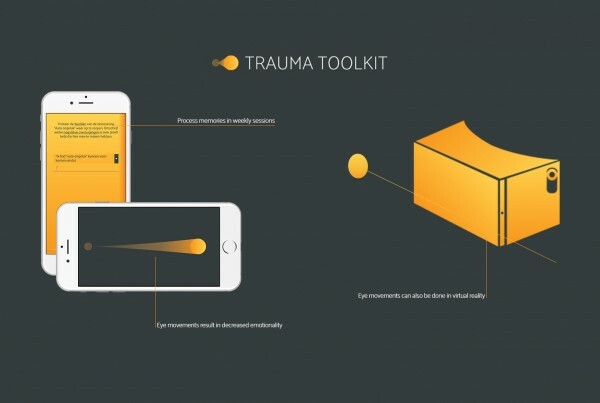 Trauma Toolkit is a mobile (virtual reality) self-help application that utilises an EMDR treatment protocol to help people who have memories of traumatic experiences. TWOSOME is a smartphone application for young cohabiting couples who have a hard time dividing and keeping up with the household chores and see it as an annoying chore. An interactive installation for Free a Girl, an aid organisation that works to fight child prostitution. 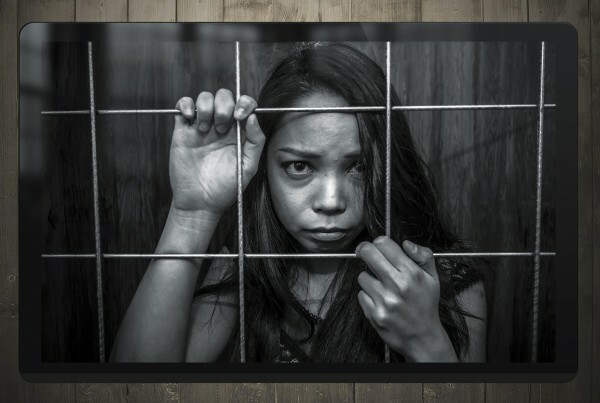 The installation is to be displayed at the World Press Photo exhibition. 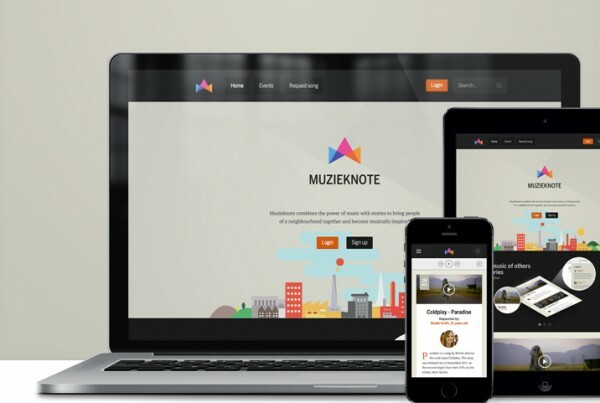 Muzieknote is a web application that combines the power of music and memorable stories to connect Amersfoort residents and offer them musical inspiration. At its heart, the degree programme is about gaining mastery of the design process: from understanding the design problem via developing and building the product all the way through to the official launch – and then working on a second version that is a little better still. In this design process for interactive digital products, we focus on three core topics: interaction design, visual design and front-end development. We will explain these in greater detail below. In addition to the shared core curriculum, CMD students can take electives during the degree programme in order to specialise in fields of individual interest. In this way, CMD students are educated to be T-shaped designers. In the field of CMD, work is often done in multidisciplinary teams comprised of several specialists. CMD graduates thrive in this setting, as they have developed wide background knowledge that enables them to have a good understanding of the other team members’ perspectives. 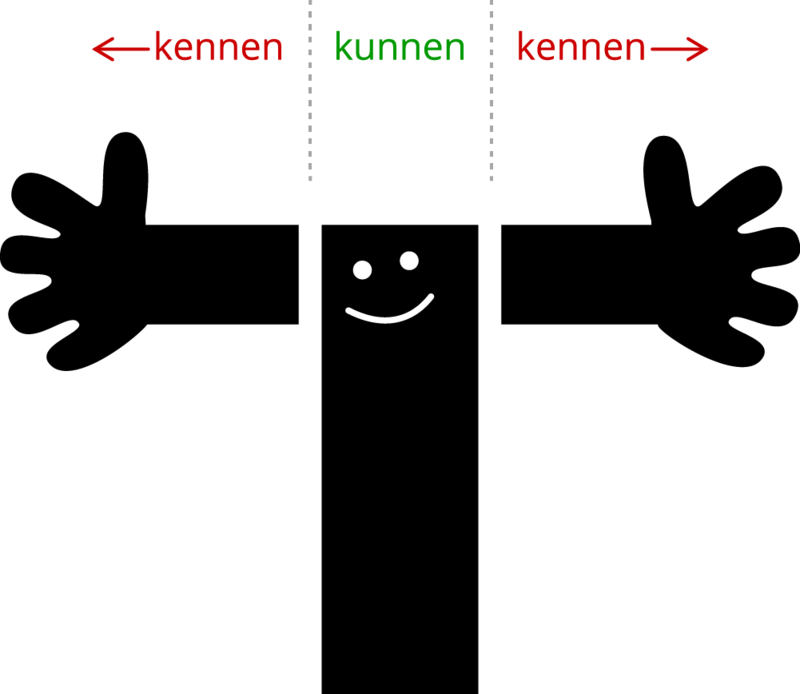 This means that, on the one hand, CMD students are proficient in the design process (in Dutch kunnen) and, on the other, are familiar with a wide range of factors that can impact upon their work (in Dutch kennen). The combination of skillsets and knowledge is different for every student, depending on their abilities, interests and ambitions. During the degree programme, CMD students can either choose to develop in depth or in breadth. This produces different types of T-shaped designers. Our core curriculum covers the design process as a whole, interaction design, visual design and front-end development. Students’ individual choices produce roughly four different types of designer: all-round craftsmen, specialists, digital master and in some cases design researchers. Essentially, design consists of arriving at an understanding of the problem, coming up with solutions and developing those into a product. However, this process is not linear but iterative. Our students develop prototypes that they use to figure out whether they are headed in the right direction. They incorporate the findings from this process into the next prototype, and so on, and so forth. 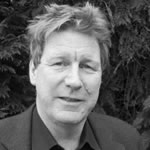 In order to create ‘good’ solutions, it is important that they have a good sense of the social context in which their products will end up (think, for example, about the discussion around privacy and Facebook). They also need to stay up-to-date on technological developments, and think about how these can be used in their designs. Finally, it is important that they know how to work harmoniously and effectively with other professionals. Interaction design is about the structure and behaviour of interactive products – for example, your phone, where important functionalities and updates are instantly available through notifications and tool panels. Or Google Maps, which can be entirely operated using your mouse and keyboard – or even just your hands. And sat nav can even be controlled using just your voice. Netflix puts popular TV shows and movies directly onto your homepage, and allows you to access others by searching and browsing. An interaction designer is responsible for optimising a digital product’s ‘flow’. In order to do this, they structure all content in a logical way and develop a way of navigating it that ensures that a website or application supports the user’s goals effectively. This enables users to find the information they are looking for easily, or carry out a complicated task in a simple way using an app. A good interface, after all, is invisible! 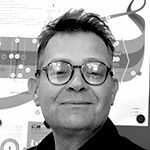 The visual designer is responsible for the layout of an interactive digital product, down to every last detail (hierarchy, form, colour, typography, grid). The visual designer designs each separate screen the user interacts with, ensuring they have an optimum visual user experience. Visual designers deal with questions like: where on the screen can what information be found? Or: what is the best way to visualise this menu or button? 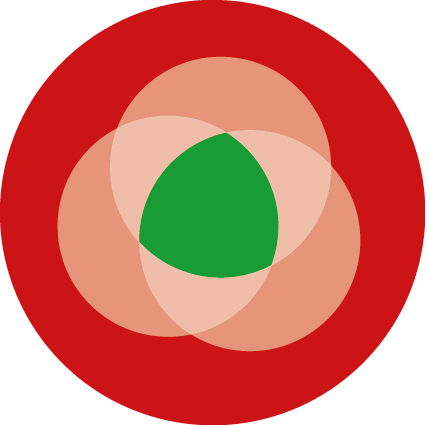 The visual designer is also responsible for consistently incorporating the product’s visual language into each visual element, and in doing so influences the behaviour of the product’s users. In addition, the visual designer is capable of developing a good style guide. Front-end developers write the code that is required to ensure a digital design actually works. Put in simple terms, they ensure that you can click on links and fill out forms. In addition, with their knowledge of the technological possibilities and limitations, they contribute to a solid end product. 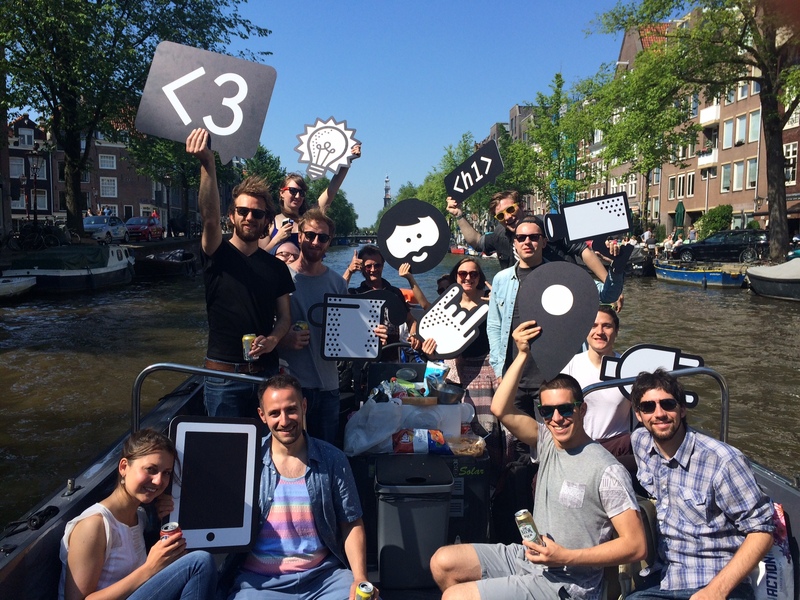 At CMD Amsterdam, all students learn how they can use code to build prototypes in the browser. This enables them to immediately check whether the great interface ideas they have actually work in practice. Through electives, you can even specialise as a front-end developer with a focus on design and interaction, or as a designer with a solid grasp on technology. Most of our students develop their breadth in the course of the degree programme, with a small amount of specialisation. After graduation, they go on to work for full-service design agencies such as Info.nl or Fabrique, but also for companies that develop their digital products in-house, such as Booking.com, ING and Coolblue. Some CMD students find their one great passion during their degree programme, and go on to excel in this specific area. After their degree programme, they may go on to work as a Usability Expert for Amsterdam-based design specialists Valsplat, or as a Developer for The Hague-based software developer Q42. Others know all about one specific domain – for example, CMD graduates have gone on to work for online-education company Squla on ‘fun online learning’ for children. A small number of our graduates are good at all components. 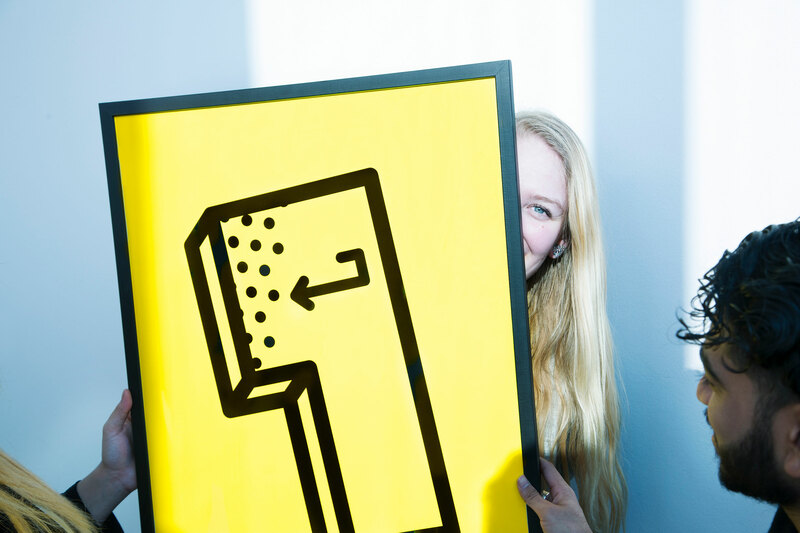 These students often go on to work for small design agencies, where you have to be proficient in all the specialisms, or small companies where they are the resident digital whizz. And then there are the true rock stars who excel at everything and can truly work anywhere – our unicorns. Some graduates are active in the preliminary phase that precedes the design process. For example, the STBY consultancy does research into people’s ‘digital wishes’, which design agencies will then go on to take to the next level. 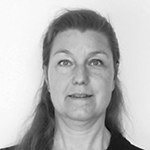 And one graduate of the CMD programme is a Product Manager for Dutch online marketplace Marktplaats, managing the used-car section of their website. The modules cover strategy, design and technology. Students learn to think and act like designers. In addition to learning ‘design’, they also learn ‘creation, ‘research’, ‘project management’ and ‘consultancy’. Students can shape their own education using electives, internships and minors. The degree programme’s growing international network of businesses and universities also enables them to further develop their international competences. More and more organisations are becoming aware of the importance of well-designed online media products and services. CMD graduates are able to provide added value in this context. The flexible curriculum, with modules, projects and guest lectures by experts, continuously responds to new developments. The lecturers have strong connections in the creative industry and are able to incorporate recent developments across the entire curriculum. Should you decide to come to Amsterdam and study here, the International Student Network (ISN) can be a good start to discover the city. The aim of ISN is to foster social and cultural integration of international students in Amsterdam. They try to achieve this by organizing introduction days, parties, ‘borrels’, weekend trips, excursions and other cultural activities. Furthermore, there is a coach system to facilitate contact with Dutch students and the city. Students are informed with the magazine Insiders and a newsletter. Hi there! Feel free to contact us too!